Released in November 2017. 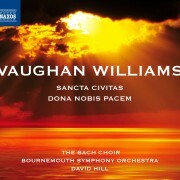 Featuring Elizabeth Watts soprano, Caitlin Hulcup mezzo-soprano, Joshua Ellicott tenor, Roderick Williams baritone, The Bach Choir, Bournemouth Symphony Orchestra, conducted by David Hill. Recorded at the Lighthouse, Poole in February 2017. 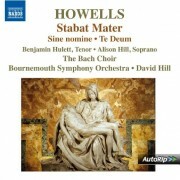 Released in September 2014 on Naxos. 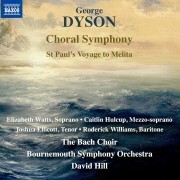 Featuring David Hill, The Bach Choir, Bournemouth Symphony Orchestra, Benjamin Hulett and Alison Hill. Released in February 2014 on Dutton Epoch. 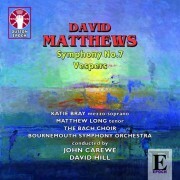 Featuring David Hill, John Carewe, The Bach Choir, Bournemouth Symphony Orchestra, Matthew Long and Katie Bray. 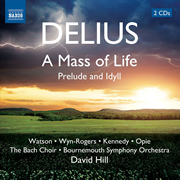 Released in 2012, Delius’s 150th anniversary year, on Naxos. Featuring David Hill, The Bach Choir, Bournemouth Symphony Orchestra, Catherine Wyn-Rogers, Janice Watson, Andrew Kennedy and Alan Opie. Released in 2011 on Decca. 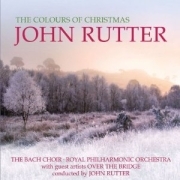 Featuring John Rutter, The Bach Choir, The Royal Philharmonic Orchestra and special guests Over the Bridge. Released in 2010 on Naxos. 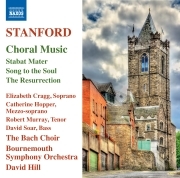 Featuring David Hill, The Bach Choir, Bournemouth Symphony Orchestra, Matthew Brook, Christina Pier, Andrew Staples, Winchester Cathedral Choristers & Winchester College Quiristers. 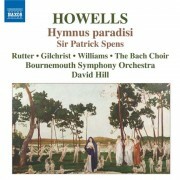 Released in 2009 on Naxos. 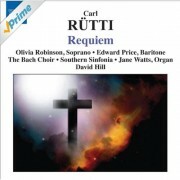 Featuring David Hill, The Bach Choir, Southern Sinfonia, Jane Watts, Edward Price and Olivia Robinson. Released in 2009 on BIS. 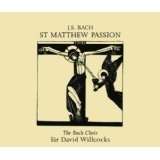 Featuring David Hill, The Bach Choir, The English Concert, Robin Blaze and Carolyn Sampson. Released in 2001. 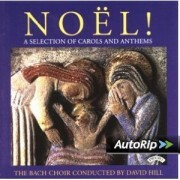 Featuring David Hill, The Bach Choir, The Choristers of Winchester Cathedral and Jane Watts. Released in 2007 on Naxos. Featuring David Hill, The Bach Choir, Bournemouth Symphony Orchestra, James Gilchrist, Roderick Williams, Katy Butler and Claire Rutter. Released in 2005. Featuring David Hill, The Bach Choir, Philharmonia Orchestra, Catherine Wyn-Rogers, Gregory Kunde, Gerald Finley and New London Children’s Choir. Released in 1998 on Priory Records. 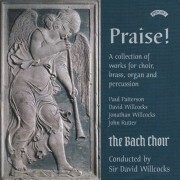 Featuring Sir David Willcocks and The Bach Choir. Recorded in April 1989 with Chandos. 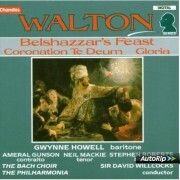 Featuring Sir David Willcocks, The Bach Choir, Philharmonia Orchestra, John Scott, Gwynne Howell, Ameral Gunson, Neil Mackie & Stephen Roberts. Recorded in 1979. 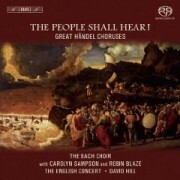 Featuring Sir David Willcocks, The Bach Choir, Thames Chamber Orchestra, Robert Tear, Alfreda Hodgson, Felicity Lott and Neil Jenkins. Recorded by Decca in 1963. 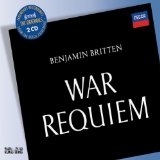 Featuring Benjamin Britten, The Bach Choir, London Symphony Chorus, Highgate School Choir, London Symphony Orchestra, Dietrich Fischer-Dieskau, Simon Preston, Sir Peter Pears, Galina Vishnevskaya. 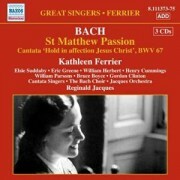 Recorded between 1947 and 1949, and re-released on Naxos in 2012. 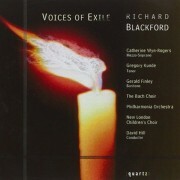 Featuring Kathleen Ferrier, Reginald Jacques, Jacques Orchestra, The Bach Choir, The Cantata Singers, Thornton Lofthouse, Osborne Peasgood, William Herbert, William Parsons, Gordon Clinton, Bruce Boyce, Elsie Suddaby, Eric Greene & Henry Cummings.